* Until 1130 AM EDT. Beach, Surfside, Coral Gables, North Bay Village and Indian Creek. Dania Beach, Cooper City, West Park and Wilton Manors. you folks ok down there so far Billsfan? So far, so good Largo! Heavy rain right now. Of course I want to leave and go pick up chicken wings for lunch! And thanks to all of you for the kind wishes for my family! Much appreciated. It was a dicey few days for my mom, but I think she’s turned the corner. Their insurance pays for an RN to come in daily to help with draining tube etc. And thanks for weather updates too! Fisher Island. Movement was west at 30 mph. Good morning....bring on the rain!! Hallandale to near Miami Beach to 7 miles south of Key Biscayne. Movement was west at 30 mph. Hallandale, Kendall, The Redland, North Miami and Doral. rainfall, and frequent deadly lightning strikes. on roadways. Motorists should exercise caution. eastern half of South Florida. across all of South Florida. Morning Largo..... I think it might be a little breezy and of course some stronger winds with some of the squalls, just like our ordinary storms, but that's probably it. sangria wrote: Morning Largo..... I think it might be a little breezy and of course some stronger winds with some of the squalls, just like our ordinary storms, but that's probably it. 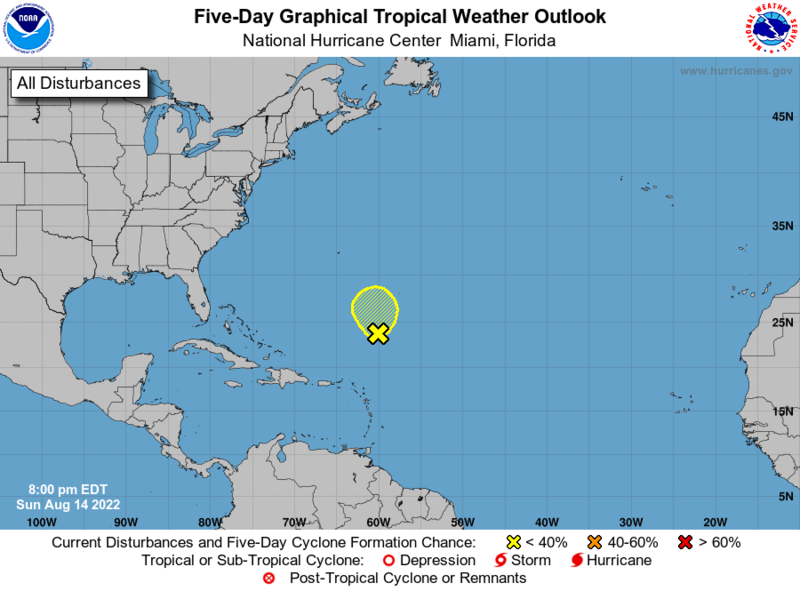 ok thanks san, just watched local TV met say we here could get 2-4 inches in some area's and she said south florida in places could see 4-8 inches whew,but then alot down there can really use a good rainfall i hear..well at least it isnt a Hurricane and we've been thru these kinds of storms before huh. Morning. Had 4-5 brief rounds of showers/storms since 2pm or so yesterday. Gauge had .85 when I emptied it around 7. Had another brief downpour since. 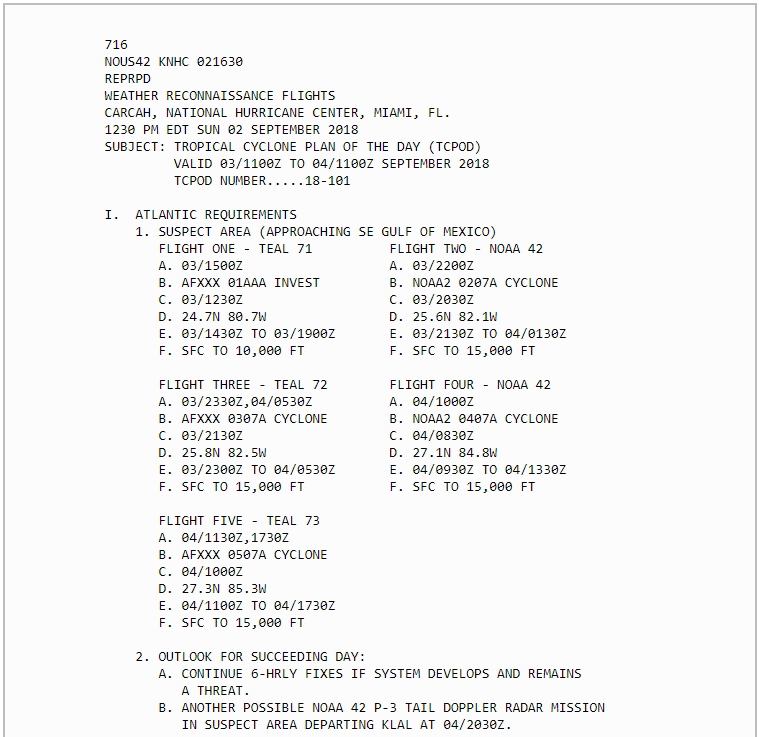 Looks like the COC of PTC7 is near the middle keys at the moment looking at radar loops. 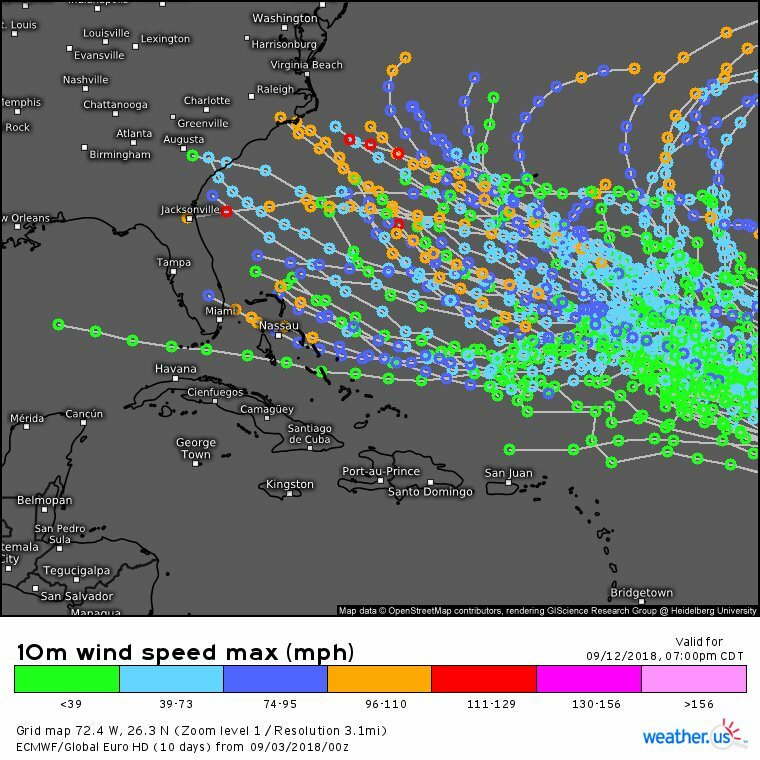 The Euro wants to bring Florence to NC. GFS has trended further west as well from previous runs. She was supposed to be a "fish" but may not be the case any longer. Haha san. Good timing posting those. Grabbed this off the interwebs. The EURO & the majority of it’s ensembles show #Florence aiming for the eastern US seaboard late next week. Very concerning pattern & runs. CMC/UKMET agree. Will continue to watch closely, plenty of time for this to still change. Done. One could also press "control/minus" on the keyboard to shrink the screen or right-click and "open image in new tab" but editing the post is easier. 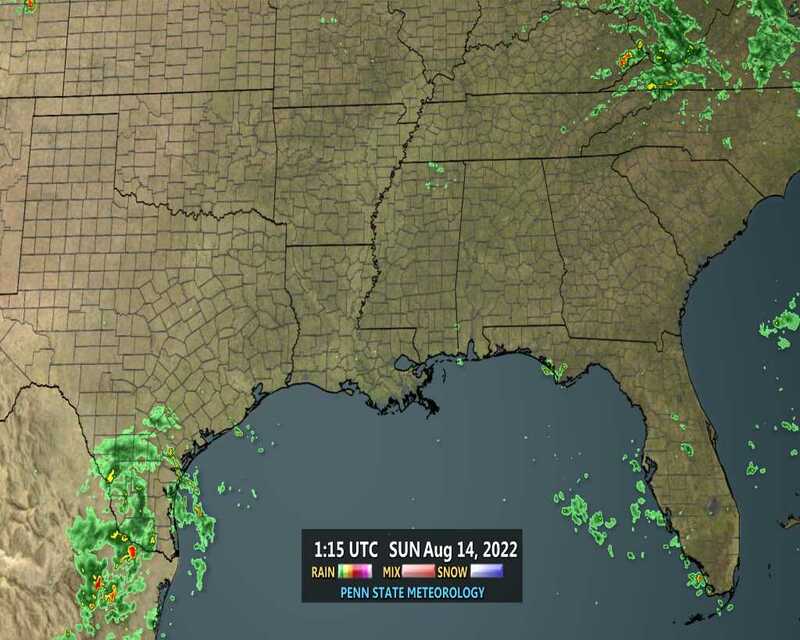 anyone else notice the direction the storms are moving?..i dont trust this storm at all..stay alert folks..
SPC has south FL and the western peninsula under a slight tornado risk. Updated forecast should be coming out any minute. Might be a potential increase since Gordon has formed. during the day when surface heating/buoyancy profiles are maximized. the possibility of a brief tornado with this scenario. New outlook has been posted. Not much of a change but a slight increase in real estate to the marginal risk area. COD static radar loop. A few hefty bands out there. Also looks like the center is going to emerge soon off the SW peninsula. Looks like we could get a decent band.